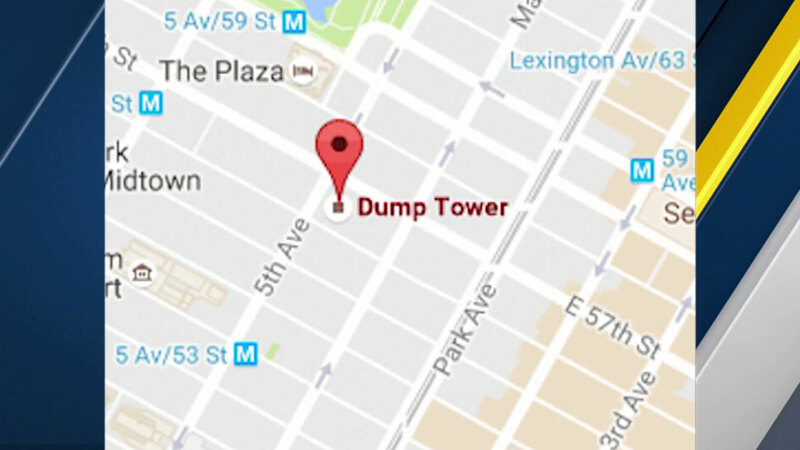 NEW YORK -- Someone renamed Donald Trump's midtown Manhattan building on Google Maps, and the new moniker isn't very flattering. Instead of Trump Tower, it was briefly renamed "Dump Tower." A Google spokeswoman told The Associated Press that the company has changed the name back to its original. The spokeswoman said user contributions help provide an up-to-date map, but also occasionally lead to inaccuracies.